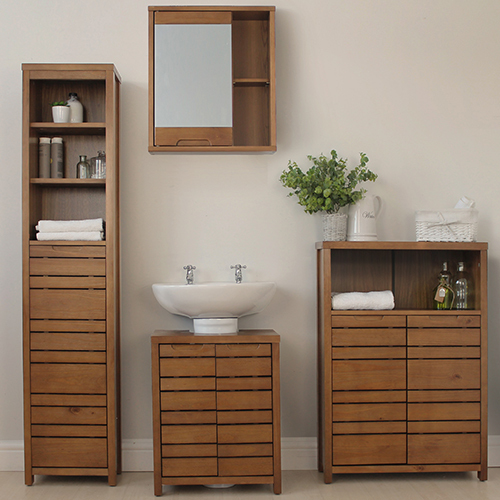 Crafted from New Zealand pine and finished with a stylish walnut stain, this exclusive set is a best-seller here at STORE in Chester. 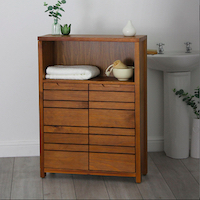 The set includes a clutter-swallowing tallboy with a small footprint and both open and enclosed shelves, a low cabinet with further enclosed and open shelving, a handy vanity mirror / medicine cabinet and a neat round-the-sink unit with hidden storage. 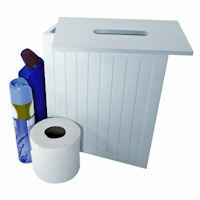 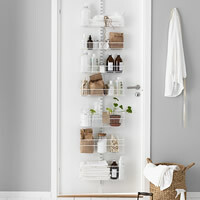 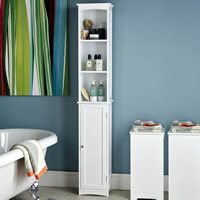 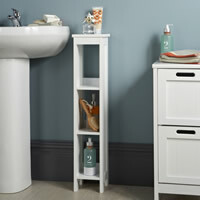 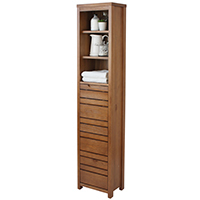 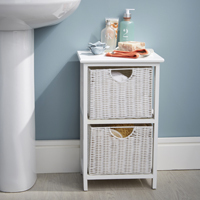 A really good looking set of bathroom storage furniture at a great STORE price.